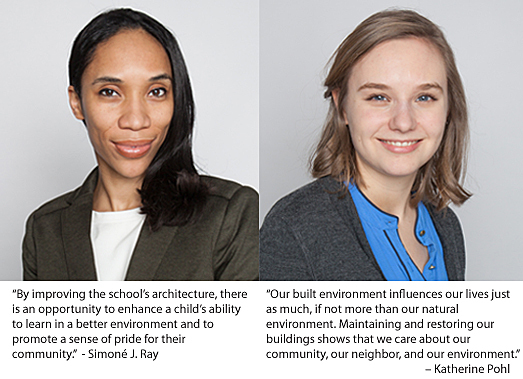 AltusWorks is pleased to announce that Simoné J. Ray and Katherine Pohl have joined our team. As the Design Manager for our longest standing client, Chicago Public Schools, Simoné is a key player in implementation of their annual Capital Improvement Program. At the other spectrum of our practice, Katherine supports our ever expanding Historic Preservation services with her training from the School of the Art Institute for Chicago Union Station, CTA Red/Purple Line Modernization and City of Chicago.